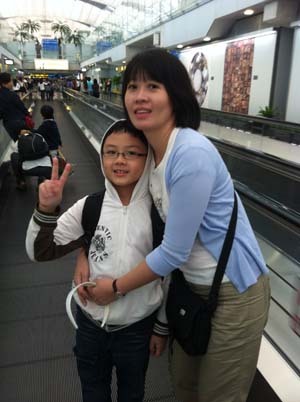 At last, we managed to visit Bangkok from 10 to 14 Mar after the flooding incident in Oct 2011. Been 11 years since I visited Bangkok in year 2000 for my company retreat. This time round, it will be more to eat and shop and perharps visit a few "Wats" on the way. 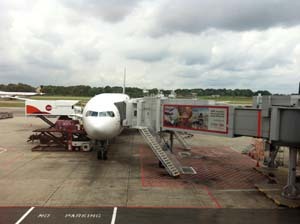 Reached Changi Terminal 1 at 1015h. 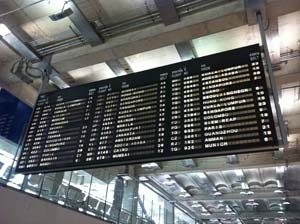 Our flight is at 1225h. 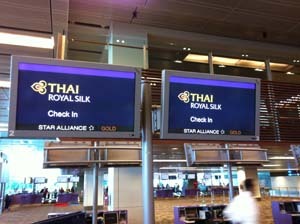 This is not the first time we are going Thailand. 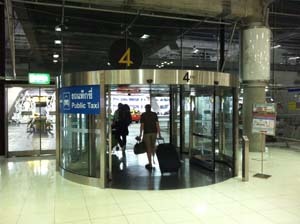 The last time was in Oct 2007 to Changmai. 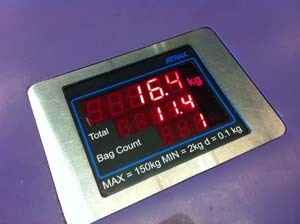 We packed 3 luggage in total, each not more than 10kg. We were more or less prepared to buy lots of stuff in BKK. Our trusty steel to the land of smiles. 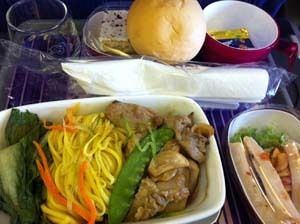 Lunch in the plane was relatively ok. Not too bad though do not look tasty...haha and Aiken loves the bun. 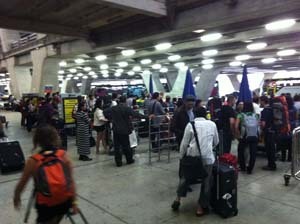 After 2hrs, we are in Bangkok, also known as Krung Thep (City of Angels). BKK is one hour slower than SG. This board is so old-school. After this, it took more than 1hr for us to clear immigration alone....the queue was very very very long. 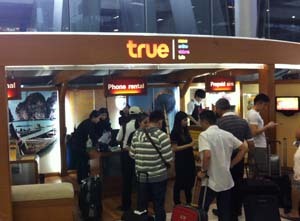 At last, out of immigration, first order of business is to get a Thai Pre-paid sim card for my phone. Needed the iphone maps to navigate around. To take the public taxi, you will have to go down the escalator. The queue was still ok and it was quite fast to get a cab.